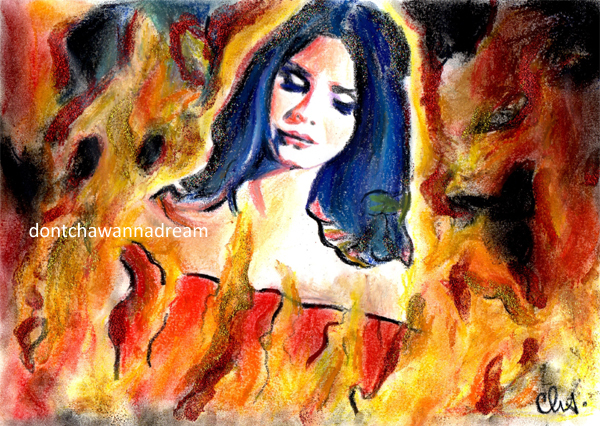 Inspired by Lana Del Rey in West Coast Music Video. I used wax pastels, soft pastels and glitter for this drawing/painting. Thanks Arlen!!! 🙂 How are you?